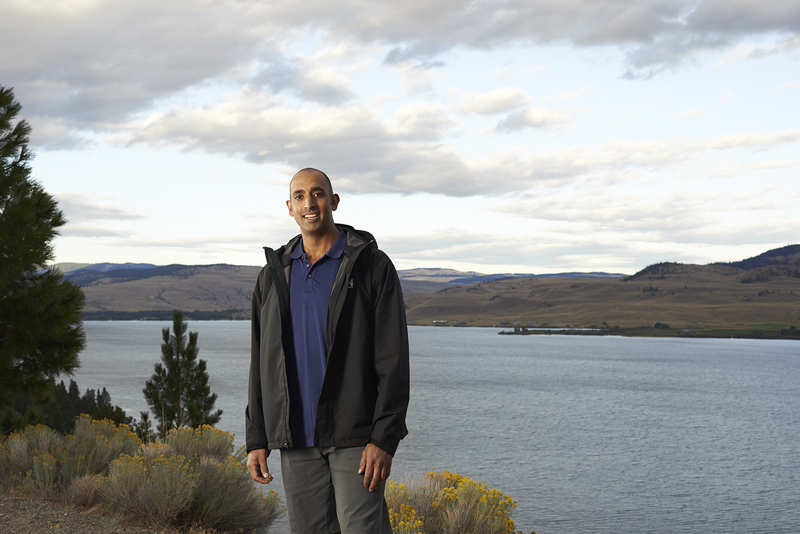 Raj works on the operations and maintenance of the Trans Mountain pipeline out of our Kamloops office. He makes sure the pipeline has been designed and constructed to meet today’s industry standards, along with ensuring the safety, reliability and integrity of the pipeline. How long have you been doing this job and why is pipeline safety important? I’ve been with the company for nine years. Pipeline safety is important to me because I want to make sure the environment is protected. I enjoy spending time outdoors with my family, just as I did with my father. I have great memories of those times and now that I’m a father, I want my daughter to enjoy the outdoors like I did. I want the pipeline to remain safe so she has the same special opportunities I had as a child to go camping, fishing and swimming. In my spare time I enjoy hiking, swimming and camping with my family. I play volleyball and football and generally like to spend time outdoors. What I enjoy about hiking is the solitude, the ability to conquer the mountain and push my body to extreme limits of endurance. While hiking I enjoy looking at nature – the birds and different animals, the trees, the rock formations, the lakes, the vegetation, the wildflowers in the meadows and the different terrain as you climb higher. I learn about the animals and vegetation around me and how they co-exist. Do the people you work with care about the environment the way you do? The people I work with all enjoy the outdoors – boating, fishing, hiking and spending time outside with their families. It’s part of the Kinder Morgan culture to spend time outdoors. As pipeline engineers we work outside, so living and working outdoors goes hand in hand for us. What can you tell us about the company’s safety record? The Trans Mountain pipeline has been operating safely over the past 60 years. We love what we do and that is why our safety record is so good. Pipeline safety is very important to us. The previous employees before us were very hard workers who were dedicated to safety and they instilled that work ethic in the next generation of workers just like myself. We have a very strong culture of safety, starting with upper management, down to the workers and the people in the office. We work as a cohesive team to maintain that culture so everyone remains safe. We work in beautiful terrain and want to be sure no environmental damage is done so the next generation can continue to enjoy the outdoors. I want to protect this place. I not only work here, I live here too.